Basic Color Terms, University of California Press)( Kay & Regier, 2003, PNAS, 100, 9085-9089). Some of these studies have also reported the best representatives or focal values of each colour (Boynton and Olson, 1990, Vision Res. 30,1311–1317), (Sturges and Whitfield, 1995, CRA, 20:6, 364–376). Some further studies have provided us with fuzzy datasets for color naming by asking human observers to rate colours in terms of membership values (Benavente -et al-, 2006, CRA. 31:1, 48–56,). Recently, a computational model based on these human ratings has been developed (Benavente -et al-, 2008, JOSA-A, 25:10, 2582-2593). This computational model follows a fuzzy approach to assign a colour name to a particular RGB value. For example, a pixel with a value (255,0,0) will be named 'red' with membership 1, while a cyan pixel with a RGB value of (0, 200, 200) will be considered to be 0.5 green and 0.5 blue. In this work, we show how this colour naming paradigm can be applied to different computer vision tasks. In particular, we report results in colour constancy (Vazquez-Corral -et al-, 2012, IEEE TIP, in press) showing that the classical constraints on either illumination or surface reflectance can be substituted by the statistical properties encoded in the colour names. 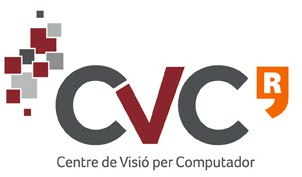 [Supported by projects TIN2010-21771-C02-1, CSD2007-00018].